India will begin their World Cup campaign on June 5 against South Africa. 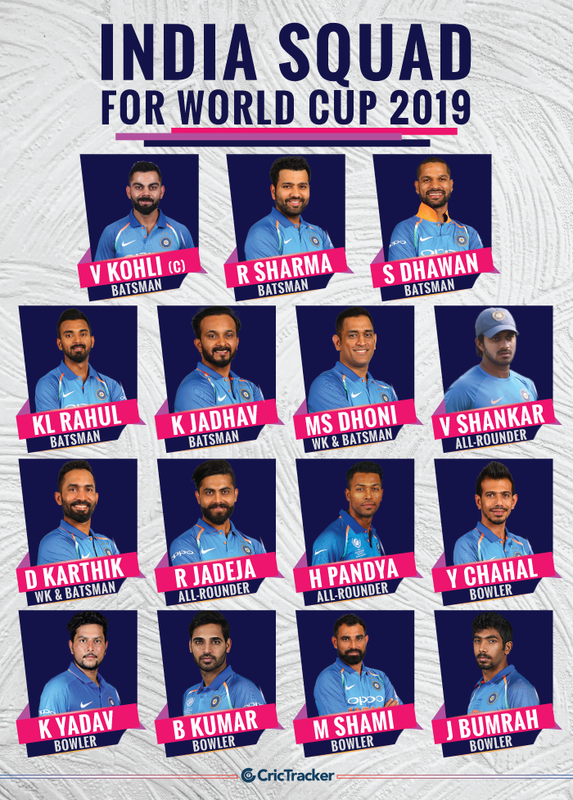 The Board of Control for Cricket in India (BCCI) has announced the much-awaited World Cup squad. MSK Prasad addressed the reporters while naming the 15-man squad which includes expected names with Virat Kohli set to lead India for the first time at the mega event which will commence on May 30 with the game between England and South Africa. Ambati Rayudu, after all the deliberations and not being in good form, has led to him missing out on the flight to England. Vijay Shankar, Hardik Pandya and Ravindra Jadeja are the two all-rounders in the team. The former seems to be another option to take up the role of batting at number four for the team while, for the first time, the bowling attack look sorted for the Men in Blue. The pace trio of Mohammed Shami, Bhuvneshwar Kumar and Jasprit Bumrah have the capability of toppling any opposition on their day. 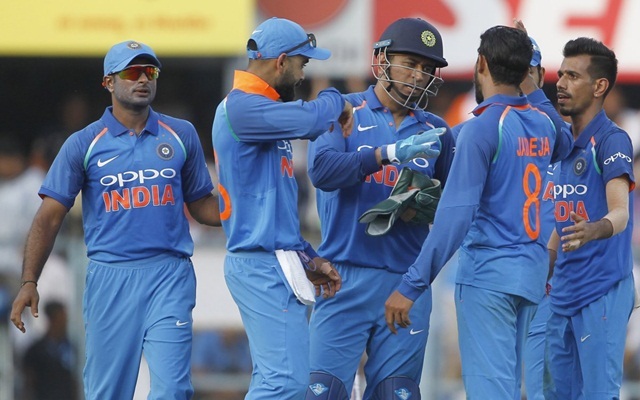 They will be assisted by the wrist-spinning duo of Kuldeep Yadav and Yuzvendra Chahal while Kedar Jadhav is expected to roll his arm if required during some of the matches. The hot topic ahead of the squad announcement was the back-up wicket-keeper’s spot and that has been grabbed by Dinesh Karthik. The exuberance of youth was not preferred by the selectors and the team management ahead of the experienced Dinesh Karthik who has a calm head over his shoulders. It didn’t come as a surprising decision for many as Pant hasn’t played any impact knock in his short ODI career so far and Karthik is the much better option in that aspect. The likes of Rohit Sharma, Shikhar Dhawan and MS Dhoni walk into any side on any given day. While India’s opening duo will be taking up the same role which they did in World Cup 2015 while Dhoni, the veteran, will be playing as a player and not the captain for the first time in all the T20 and 50-over World Cups in his career.